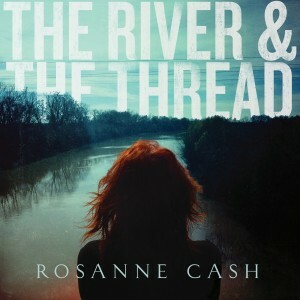 Today’s Cool album of the Day (#901 in the Series) is Rosanne Cash,The River & The Thread. Many people will to want to know – is this a country album, a folk album, an Americana / Alt-country album? Well – yes to all three but primarily I think it’s a Southern album. Each of the songs are finely crafted short stories in the great Southern tradition. They each work all by themselves telling a story that’s either from the Cash family history or a work of fiction. They also work together to paint a portrait of the South that is equal to the best Southern fiction writing. There are songs of family, a feeling of community or the lack thereof, a sense of justice and the lack thereof, with enough tastes of religion and just enough southern dialect in both the lyrics and in the musical backing as well to keep us firmly rooted in Southern soil. Before I get into some of the songs and what went into creating the album, I want to talk about the cover. The cover alone should go along way towards The River & The Thread being on everyone’s top 10 lists at the end of the year. 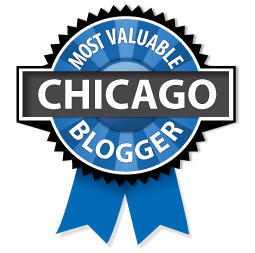 The image is of Rosanne from behind standing on the Tallahatchie Bridge (of Ode to Billie Joe” fame) looking down river as a tiny bit of sunlight reflects back up at her. The image itself is as beautiful as the songs inside. The River and the Thread grew out of Rosanne’s working with the Arkansas State University to buy her father’s childhood home in Dyess, Arkansas. She and her husband, musical partner and producer John Leventhal Journeyed through the south reconnecting to places of her childhood and iconic southern landmarks, both musical and cultural. In many ways this album completes the bridge that started with her last album of original material Black Cadillac that dealt with her feelings surrounding the death of her parents, not only as the Country icons they had become but also the way any of us might deal with such personal loss. The bridge continued with The List that contained Rosanne’s interpretations of songs from a list of 100 essential country tunes that her father had created for her when she was 18. The River and the Thread ties those themes together into the grander scale of the American south, to which she and her family are firmly rooted. The songs work on every level. Lyrically they are rank with her best work ever. The music and accompanying artists put the perfect touches to the songs to push them along or pull us into them. As with all good albums – you know how much thought was put into the order of songs. They flow from one to another seamlessly. I find myself listening to the album all the way through each time. I love the soft shuffle of “50,000 Watts” that she sings with Corey Chisel. The masterpiece of the record however is the haunting ballad “When the Master Calls the Roll” that she co-wrote with Leventhal and her ex husband Rodney Crowell. 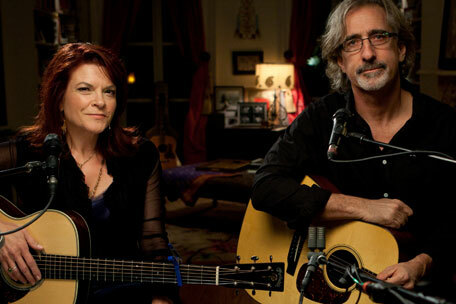 The song is a civil war ballad with real ancestors of Rosanne’s in the tragic rolls. 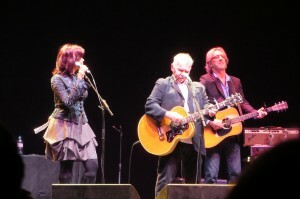 The song features the Master’s Choir: Rodney Crowell, Amy Helm, Kris Kristofferson, John Prine, and Tony Joe White on the choruses. 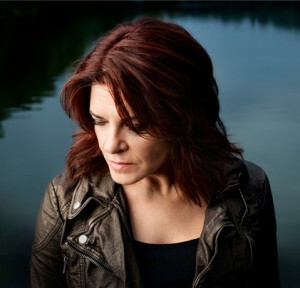 This is truly Rosanne’s album however – even with a chorus like that and the other guests on the album, they all supplement her voice and her songs mixing into the river and the thread that pulls it all together. I highly suggest you check out this short interview with CBS Saturday Morning. A short ad precedes.